The Baiyoke Tower II comprising the Baiyoke Sky Hotel is currently the tallest building in Thailand, however this title may be a short-lived as the MahaNakhon is due for completion towards the end of 2016. There may be some dispute regarding which is the tallest. 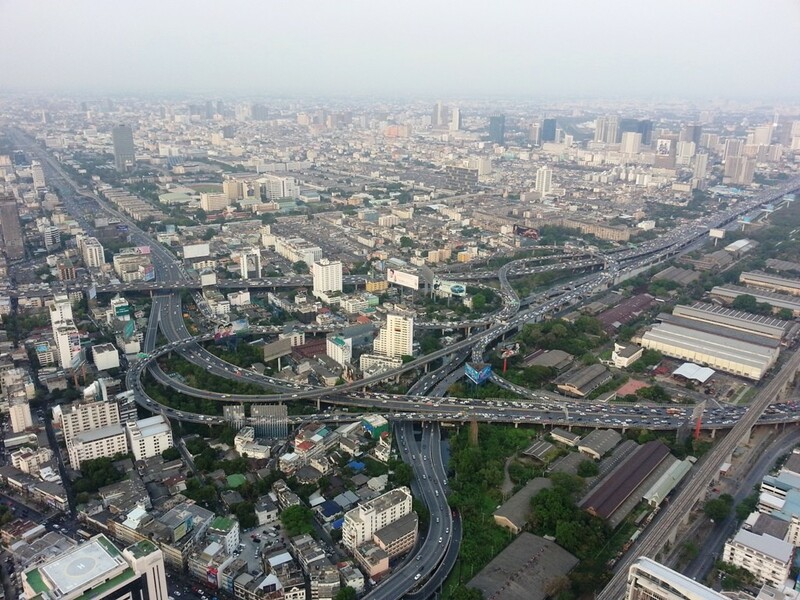 If the antenna is included in the total height, then the Baiyoke Sky Tower measuring 328.4 metres, with antenna, will still be higher than the MahaNakhon at 314 metres, without an antenna. However if both are compared without antenna, then the MahaNakhon will exceed the Baiyoke by 10 metres. The motel features 673 guest rooms with a driving range on the 18th floor a public observatory on the 77th floor and the 360-degree revolving roof deck on the 84th floor. The presidential suite even comes with its’ own little putting green. 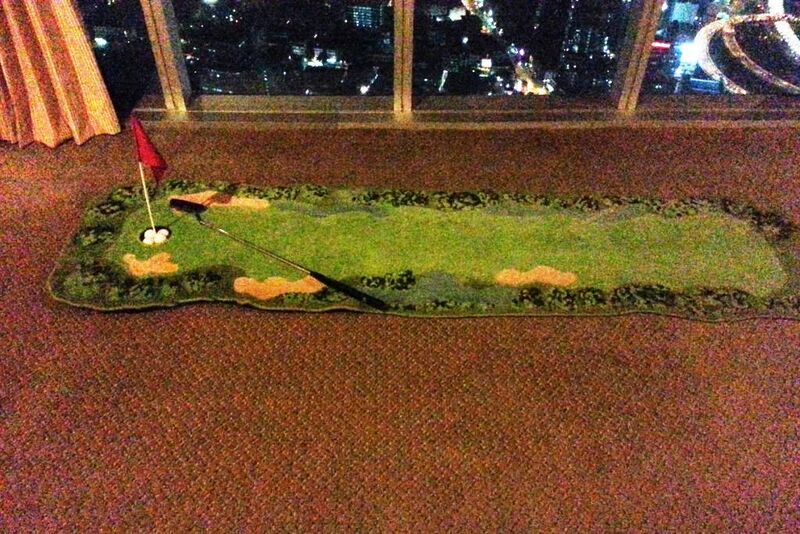 The mini putting green inside the Hotel Presidential Suite. For eating and drinking it has a fruit buffet and a coffee shop on the 18th floor, plus a cafe next to the driving range, also on the 18th floor. In addition to these it has restaurants on levels 75, 76, 78,79,81 and 82 plus The Roof Top Bar on level 83. 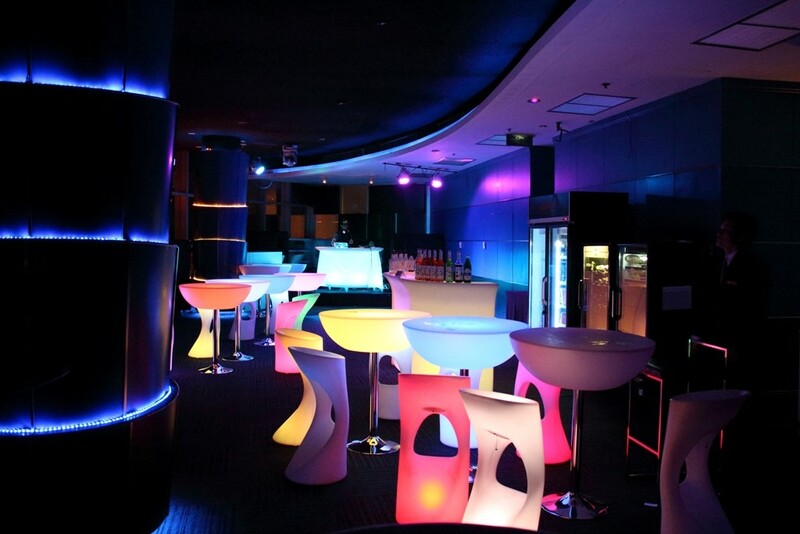 The Roof Top Bar on level 83 occasionally offers one free drink for guests of the motel. The Baiyoke Sky hotel was officially opened in June of 1999 and for those interested in the construction details more can be found at Wikipedia. The motel interior is now starting to look a little aged and the rooms are getting a little run down and there are several other more modern motels that have been constructed in recent years that may provide better value for money. However one thing remains that other motels can not claim and that is the hands down it still has the best views over Bangkok City. Getting to see these views can be a little problematic as the lifts are often overcrowded with vast numbers of tourists trying to get to the top for that view. Although preference is supposedly given to resident guests, the lifts will often simply bypass your floor as they are already totally full. To add to this hassle, if you want to get to the viewing platform or the restaurants at the top, you need to first catch a lift to the lobby, then catch another lift to the 77th floor then change lifts again for the upper deck and then climb the stairs for the revolving platform. So you will need to be patient. Although I have stayed there many times with tour groups it is only for the views that I would recommend staying there. 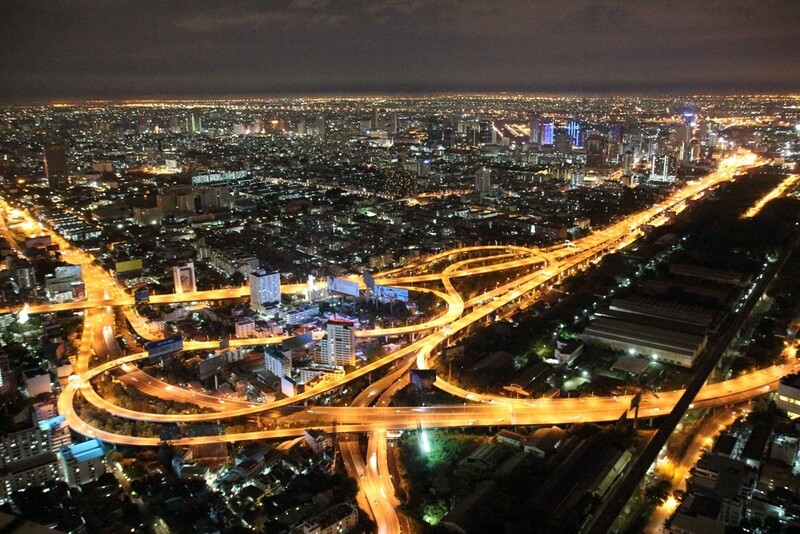 It is however, an experience that I would recommend that every visitor to Bangkok should do at least once. Below I have included a video which shows a full 360 degree rotation of the viewing platform plus some sill images images. 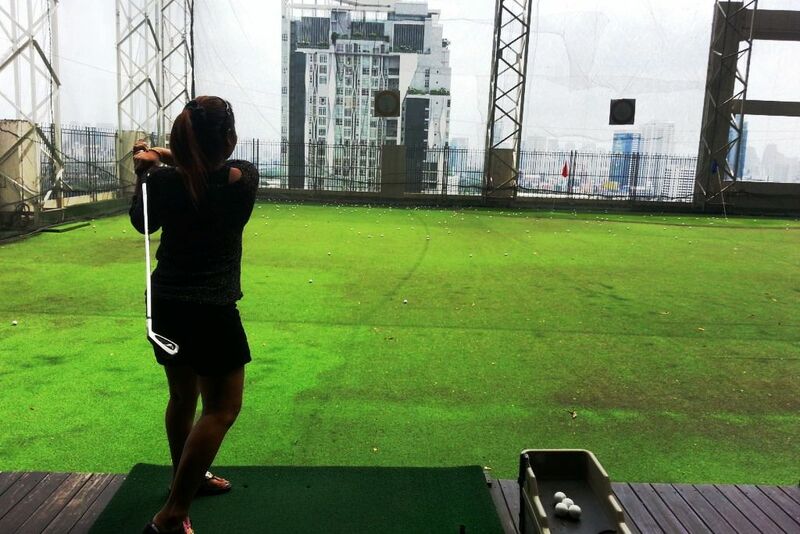 The Baiyoke Tower and Sky Hotel is located at 222, Thanon Playa Thai, Ratchathewi, Bangkok 10400. To make it easy, we have included a map below. If you have this page open on your mobile device, just click view larger map and Google will take you there.